The fourth edition of the sports and recreation event Du Motion - Runners' Days Dubrovnik will be held on 28 and 29 April 2018. 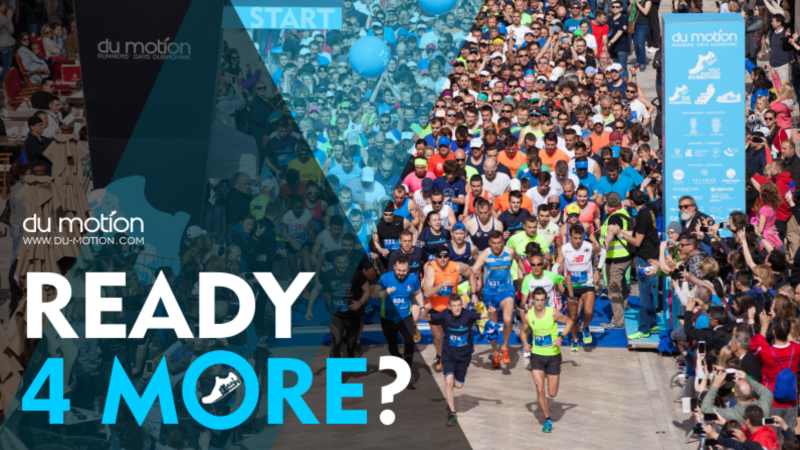 The two-day event once again offers a program that features the popular Dubrovnik Half Marathon, the challenging City Walls Race, a 5K Charity Race and a Children's Race, alongside the Du Motion Expo and other accompanying events. The past three years of the Du Motion event have attracted runners from over 50 countries and this most international Croatian running event is set to reaffirm its status if the numerous queries to date from abroad serve as any indication. Dubrovnik attracts many running and racing enthusiasts with its excellent atmosphere, interesting panoramic routes that pass through the Old City and along the Dubrovnik coast, as well as a variety of racing packages that guarantee a great time and getting to know all of the beautiful parts of the city.